"This recipe has been a family favorite passed on from generation to generation. We traditionally make these for Christmas, but they can be made for any special event. There's some work involved, but the outcome is rewarding! After the perogies have boiled, they can be fried in some butter and onions or served with sour cream." I have had many pierogi's but none better than these. 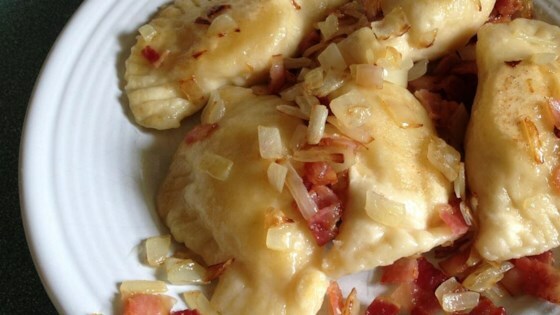 This recipe ensures that the Peirogi's are moist and definitely is the traditional Polish pierogi!